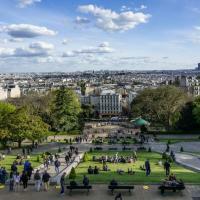 Discover the heart of the 17th Arrondissement and the village-like enclave of Batignolles. 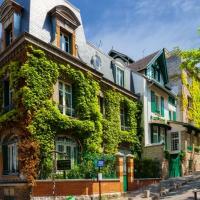 This bohemian local neighbourhood is loved by Parisians for being more peaceful than neighbouring Montmartre, and by its local residents who adore their cafe culture, open air markets and elegant gardens and parks. This classical Parisian neighbourhood is home to a diverse community of artists, trendy young locals and grandparents who have lived in the area for generation. and soak up the atmosphere in this character packed neighbourhood that’s managed to stay off the tourist trail! Browse chic boutiques as well as local open-air markets, popping into fromageries and boulangeries like the locals and maybe sampling some delicacies like a macaron or regional cheeses. Explore with your local, strolling along the charming streets and browsing their stylish boutiques and épiceries, through leafy parks where locals play boule and through charming open-air markets. 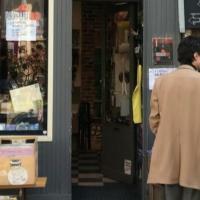 Stroll along the Rue Sauffroy, which is the centre of the neighbourhood’s African community, and browse shops selling products from across the continent and maybe try some delicious and authentic food. Get recommendations from your local for other neighbourhoods to explore to get another glimpse of the real Paris as locals see it.